If you think the bathroom should be the least of your decorating concerns, you’re setting yourself up for one major failure. This is the one room in your home that everyone uses, hence, it’s necessary that you fill it with things that are functional and fit well in its decor. If you think your bathroom is in desperate need of a quick and refreshing makeover, here are some great tips that seem to always work. 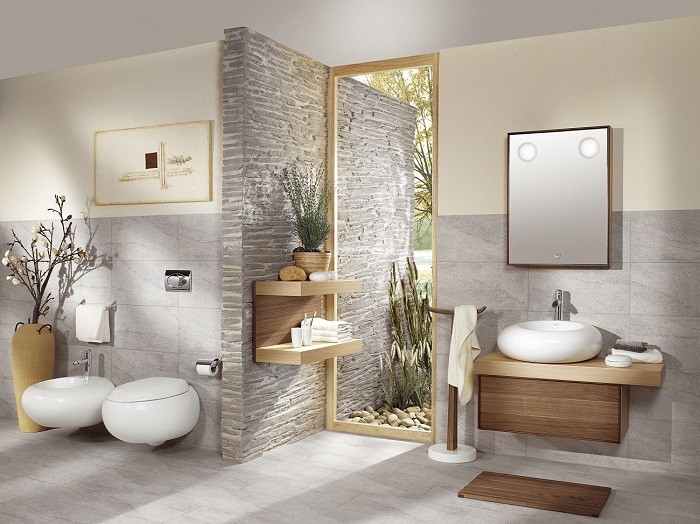 The bathroom is a small and restricted place that doesn’t leave you much to work with in terms of décor. In this case, one of the best ways to make a statement is to use a functional bathware that has an unusual design. Mirrors are always present in the bathroom, so instead of letting your mirror simply sink into the wall, why not bring it to the front? A different shaped mirror, instead of a straight or oval one, in a large size can bring some variety to the bathroom and serve as a way to bring more light into a tiny, enclosed space. Marble has always played a big role in bathroom design, and I don’t think it will get old any time soon. You can see it everywhere – from sinks, to tub surrounds, and floor tiles. This material is known for its particularly luxurious look, but the fact that it’s easy to clean and durable is perhaps the reason it’s so popular in bathrooms worldwide. But if you can’t afford a big marble bathroom remodel, consider little marble items. For instance, lately I’m seeing a trend of gorgeous marble soap dispensers that are sure to bring a special luxe touch to any bathroom. For a lavish, spa-like feel, consider getting yourself a nice set of quality towels. It’s a bathware investment your skin will be incredibly thankful for. Consider high grade materials that will treat your skin nicely, the way it deserves, like for instance Egyptian cotton or bamboo. 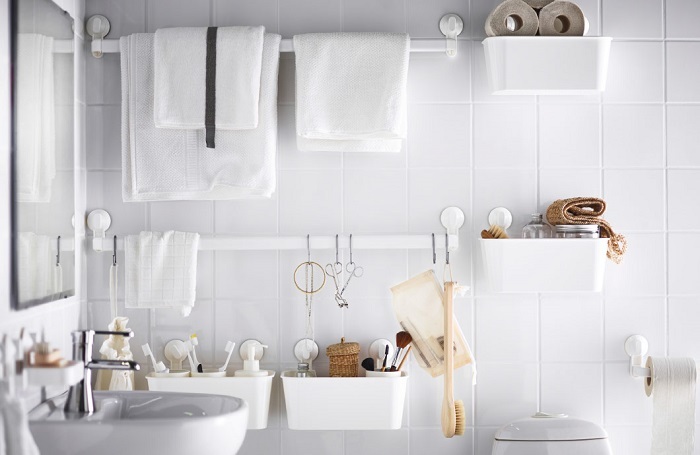 You can also use towels as a way to bring more colour into a monochromatic bathroom. Further engraving your names in a charming font or using special labelled tower racks can not only help prevent mix ups but also add a personal touch to the bath setting. For the ultimate unwinding experience, you need to include some aromatherapy into the mix. With the help of a good essential oil blend and an automatic diffuser, your bathroom will remain fresh and beautifully scented at all times. What’s more, you can use a couple of drops of the same oils for your bath and enjoy the natural stress relief and nourishing properties these wonderful gifts of nature provide.